There is a rare $1/3 Kraft coupon you will want to go ahead and grab to save on macaroni & cheese. 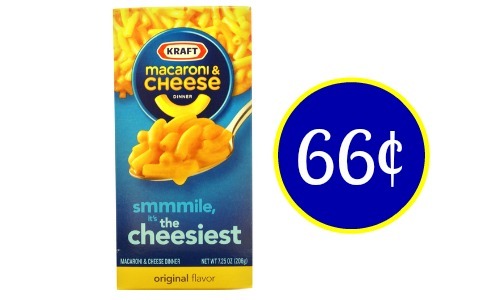 It doesn’t expire until 1/20 but you could use it at Publix this week to get the macaroni for 66¢. You will also find it on sale for the same price at Kroger and Target now too!